Controlmatics supplies complete and partial automation turn-key project. Under the project, we will be involved and fully responsible for all technical and commercial coordination tasks with all vendors. With our experience and expertise in key industries, Controlmatics provides an exceptional technical consultation to help our customer overcome any project challenges. Our project management team plays an important role in keeping your project on track by allocating various resources to ensure that all our commitments are fulfilled and that your project delivers the intended benefits to your organization. 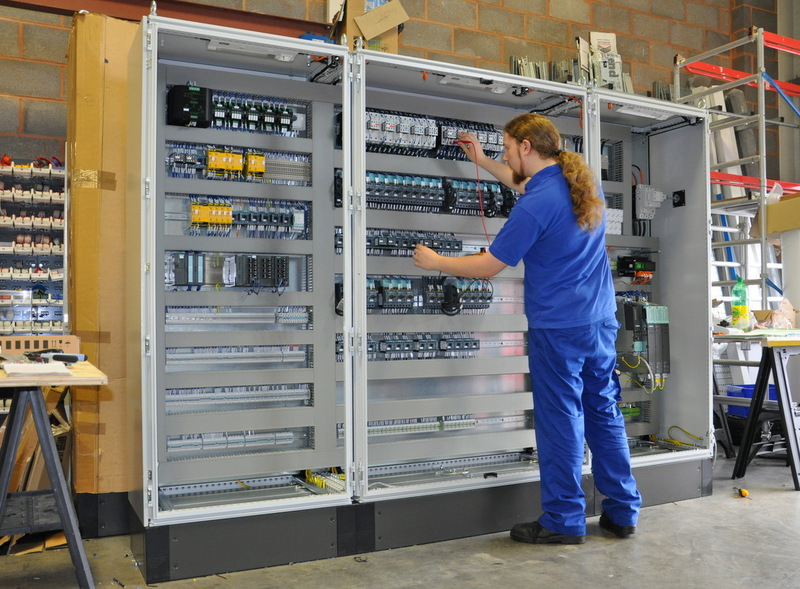 Controlmatics offer Control Panel Fabrication Service starting from the design, procurement, and fabricate control panels and integrate electrical equipment to ensure full integration into our projects. We are able to supply high quality control panel in a very competitive price. Actionable information is related to key performance indicators such as production throughput, process quality, energy efficiency usage and true customer value delivery. Connected Enterprise involves in improving productivity across the organization by engaging in new product development, increased plant reliability, better operational performance, faster problem solving, greater supply chain collaboration, and improved innovation. It combines benefit of technology into better information gathering and data analysis, and transform it into insightful, actionable and real-time information. Controlmatics offers technology-specific expertise to address your unique challenges, help reduced project risk while maximizing your return on investment, and offer solutions that specific to your needs to get the most out of your investment. Our focus is on delivering customer value across all industries and help them ensure the reliability and consistency of overall project. We are able to serve as your main automation contractor responsible for electrical, instrumentation, control, information, and safety aspects of your project. Industrial automation uses control systems and information technologies to handle different processes and machineries, and rapid evolution of technology in industrial automation systems requires tighter integration between devices on the plant floor and the rest of the enterprise. Seamless integration of all devices in automation and control system are the key to better production and utilization of your assets while lower overall production cost and downtime. Controlmatics’ solution will help increasing quality, flexibility, and productivity as well as addressing and finding solutions to any pain point in your manufacturing process. Each day, the challenges you face may vary, but your routine goal is to drive productivity and minimize downtime. We understand it well and we have reliable sources for technical support to respond in the event of unexpected breakdown as well as helping your organization to reach the business objectives by providing continuous support and value-added service. We can also help you plant ahead to reduce your maintenance cost and keep your operations running smoothly. EtherNet/IP is the most reliable Ethernet network available for industrial automation applications. The high speed network protocol allows it to be used in applications where other networks fall short as well as enable secure, real-time information between machines, systems, and enterprises. Higher speeds, bigger data transfer within a shorter amount of time, reliable and long lasting solution will be the focus for many industrial applications. As a result, efficient network allows information technology (IT) and operations technology (OT) professionals to better achieve their business objectives. Production process that were secure in the past are now at risk of getting attack from outside and inside as security landscape is ever-changing. You will need a partner who you can trust and is transparent in the approach to help you manage the constantly evolving risk. Controlmatics can help support you, as part of integration, in implementing the necessary solutions. We can offer various security solutions for industrial facilities offering seamlessly integration to users' control systems for faster response to help reduce risk of overrun in time and cost. Information systems are in many aspects of your operations and big data can be overwhelming to manage. We can make the most out of the information residing in your production infrastructure by harness the data and use it to manage and improve operations. We have the solution that help you connect, manage, validate, and optimize production; at the same time address the challenges that are associated with enforcing processes in manufacturing. We can help manufacturers, machine builders and industrial operators address specific operational needs and meet information requirements to incorporate information-driven capabilities into your machinery or equipment. Being able to differentiate yourself from competitor in rapidly changing technology is a big challenge to many machines and equipment builders. With increasing customers’ demand of innovative solutions to optimize productivity and meet sustainability goals, the manufacturing process still need to keep overall cost to the minimum. At Controlmatics, we have the solution that can meet both sides’ requirement. Our team can work with you to personalize the industrial automation solutions that meet your specific value and to find the way to maximize your performance in the innovative way to increase overall profit. To maintain critical operation in your plant, we offer a wide range of scalable, flexible and easy to integrate process solutions that match your economy and performance requirements. Our team of expertise can help you evaluate and improve operational effectiveness in order to increase productivity, lower cost, improve safety and achieve high availability. 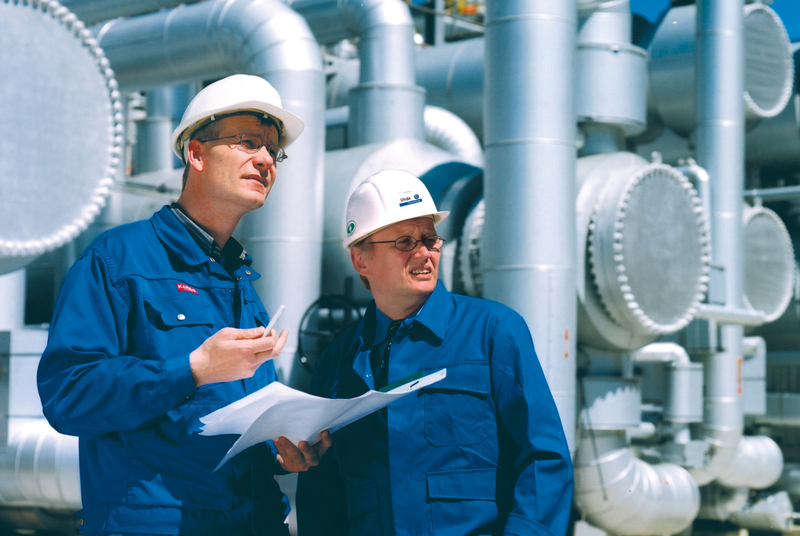 We bring our knowledge from process technology and plant engineering together with software products from market leaders. To help you develop safer working environment and more productivity, Controlmatics realizes that safety and productivity of people, machines, and processes measure the successful of the business. The capital investment in technology that improves both worker safety and productivity are vital, however, the company also have to develop safety culture and compliance procedure in the workplace. The goal is to experience less unscheduled downtime and injury rate by focusing on safety practice in order to reach your safety and productivity goals.